Percy Lebaron Spencer was an American inventor best known as the inventor of the microwave. Spencer was born in Howland, Maine in 1894. His father passed away when he was still a toddler and he was abandoned by his mother soon after. Spencer was brought up by his poverty-stricken uncle and aunt, who barely had enough to get by themselves. He was a curious child and once spent days exploring a log hauler truck that broke down in front of his house, trying to figure out how it worked. Spencer’s uncle died when he was seven years old, which made him the head of the family at a very early age. Soon after he left school to earn a living and support himself and his aunt. Between the ages of 12 and 16 he worked at a spool mill. Then he heard about an opening at a paper factory that was going to be run on electricity. This was a new concept in the remote town where he lived, so he learned as much as he could about it and applied for the job of wiring the plant. Spencer was one of three people who got selected for the job, despite the fact that he had received no formal education or training in the field. At the age of 18, he joined the U.S. Navy and where he learnt all he could about wireless and radio technology. Spencer was strongly motivated to learn and gained expertise in a number of fields such as trigonometry, calculus, chemistry, physics, and metallurgy by reading extensively about them. Spencer was also an expert in radar tube design, and worked at a company called Raytheon as the chief of the power tube division. His expertise helped the company win a major contract from the U.S. government to produce magnetrons for radar equipments which was invaluable in the second world war. Under his leadership, the division expanded from a mere 15 employees to more than 5000 employees and productivity was also largely improved. His invention of the microwave cooking was purely coincidental, though. One day while working at the plant, he crossed an active radar set when he noticed that the candy in his pocket had suddenly melted. His always active sense of curiosity was heightened and he decided to experiment further by testing out different types of food such as unpopped kernels of corn. To his surprise and delight, they began to pop. Unlike others who had experienced the same, Spencer was keen to learn more about it. 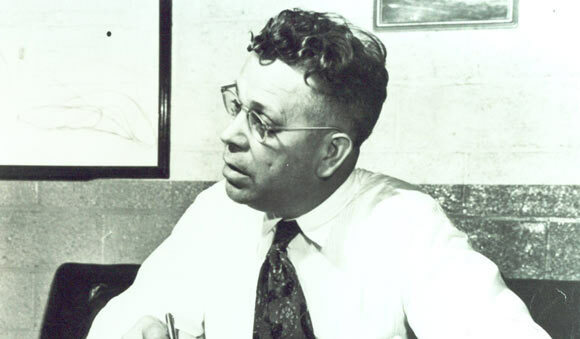 After researching further and conducting more experiments, Percy Spencer filed for and successfully received a patent in 1945. In 1947, he produced the first commercially built microwave which was between 5 and a half to 6 feet tall and weighed around 750 lbs. It cost between $2000 to $3000 and was initially used in restaurants, railways and ships as they were too bulky and expensive for home use. It also had some shortcomings; for instance, meat would not cook properly in it. After further research and modification in design, the first microwave for home use was developed in 1967. It cost $495 and could be fit on a kitchen counter top. In all, Spencer held more than 300 patents in his lifetime including those received at Raytheon where he eventually became a senior member of the Board of Directors. His notable awards include a Distinguished Public Service Award, a membership of the Institute of Radio Engineers, Fellowship of the American Academy of Arts and Sciences, and an honorary Doctor of Science from the University of Massachusetts. He died in 1970 at the age of 77.